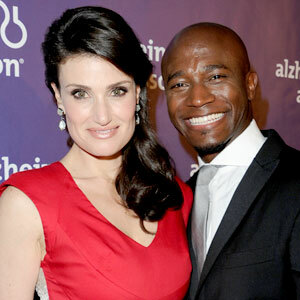 Glee’s Idina Menzel and Taye Diggs’ Son Is a Little Music Man, Too! Is it any wonder that Idina Menzel and Taye Diggs son, Walker, has the gift of song and dance? Walker isn’t even two yet. That happens on Sept. 2. So what do mom and dad have planned for the big day? But they have couple of weeks before that. They’ll be in New York City this weekend for Camp BroaderWay, their 10-day program they launched this summer for inner-city girls. More than 30 children participated. On Sunday, they’ll perform at the Miller Theater at Columbia University. “The cool thing about it is it’s all written and inspired by these girls—it’s their lyrics, their poems [and] their choreography,” Menzel said.